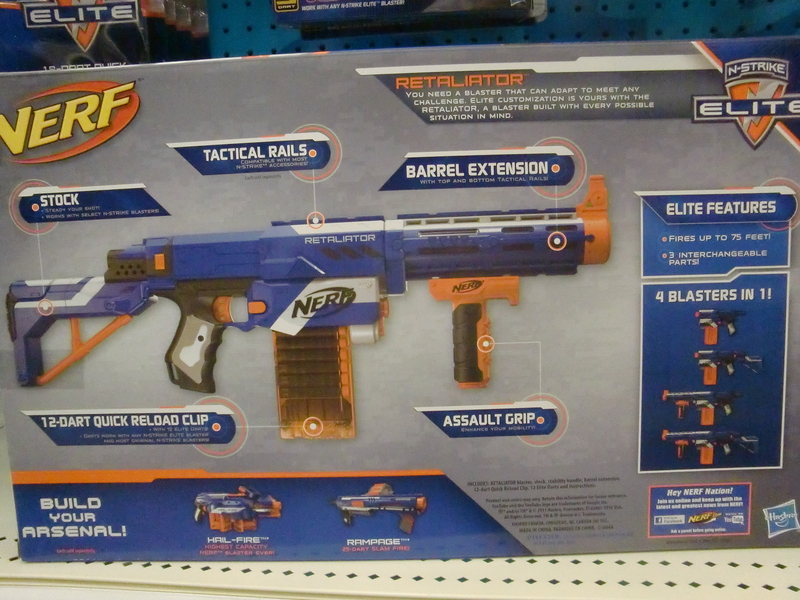 Today is August 1st, and that means that the N-Strike Elite line has officially launched! 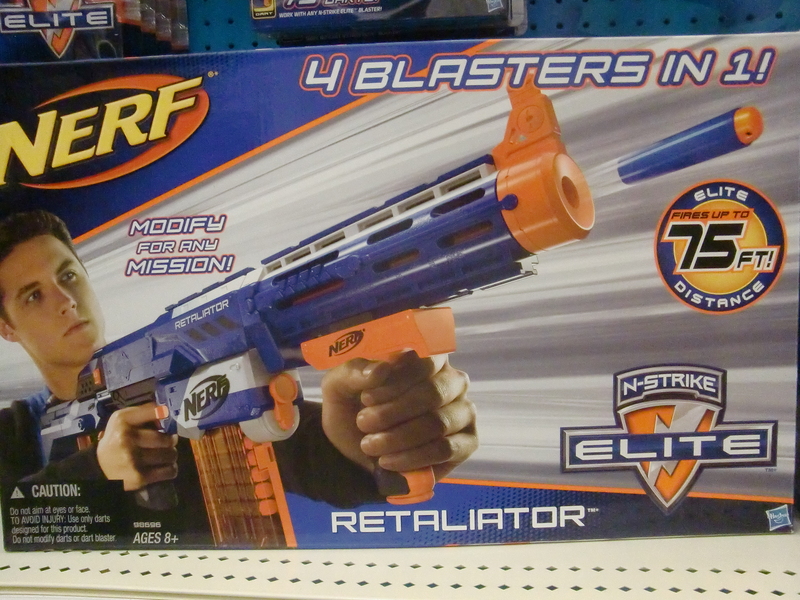 The new blasters (Retaliator, Rampage, and Hail-Fire) can now be purchased in-store in most major retailers. 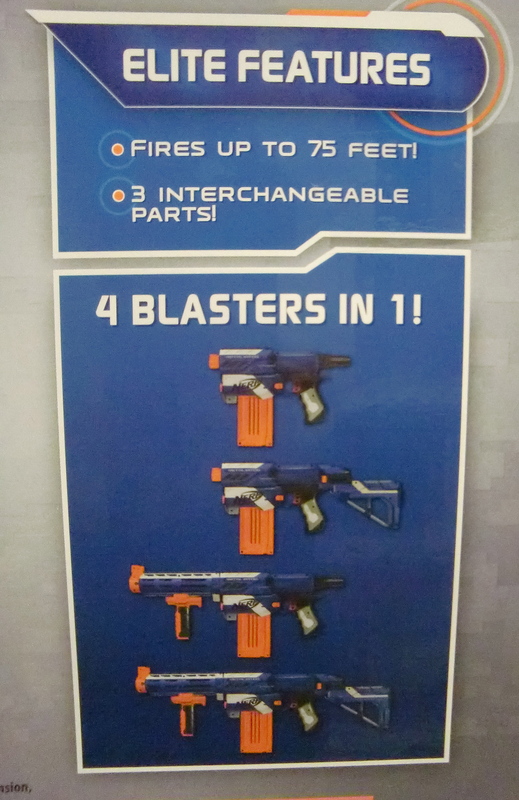 Today I went on a quest to find out where they’re available, and here’s what I found. 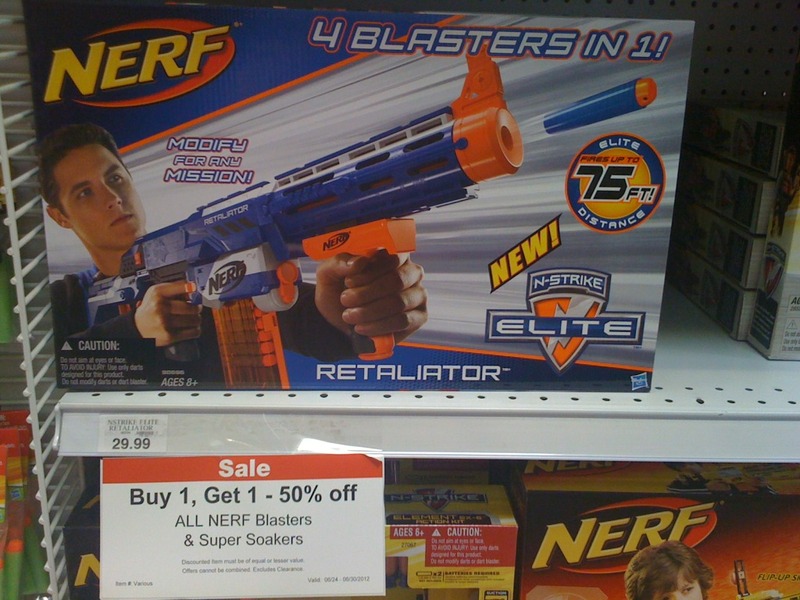 Nerf N-Strike Elite Retaliator selling for $24.99 at Target.